Now that the summer season is fast approaching, many of us will be outside spending time in the sun. This is a good time of the year to remind those of you using chemical peels that it’s very important to use a sunscreen following a peeling procedure. Many chemical peels contain Alpha Hydroxy acids (AHAs) and other ingredients that can increase skin sensitivity to the sun, resulting in sunburn. With so much attention being paid to the negative effects of the sun’s rays on skin, you should already be using some type of a sunscreen when you’re outdoors. Your skin will be especially sensitive to the UV rays of the sun after a chemical peel so it’s very important to use a good quality sunscreen that provides both UVA and UVB protection with an SPF of 30 or more. Also be sure that the sunscreen you use is gentle enough for daily use. 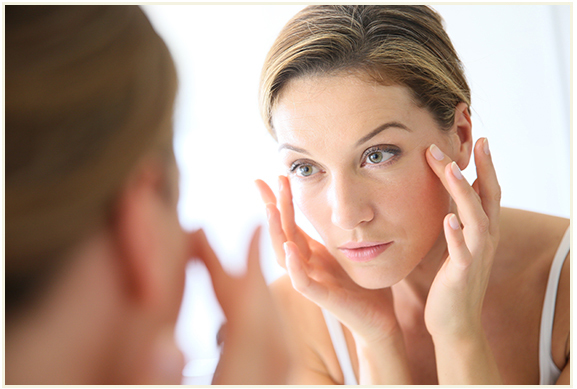 While staying inside is best for your skin following a chemical peel, this is rarely a viable option. Therefore, it’s a good idea to purchase a quality sunscreen before you do a chemical peel so you have it on hand before you plan on heading outside. And remember, your skin is still vulnerable to the harmful effects of the sun even if it’s overcast outside, so don’t let a few clouds fool you! You should apply the sunscreen an hour before going outdoors and then reapply after swimming, exercising and every two hours or so if you’re spending the entire day outside. Apply the sunscreen evenly and thoroughly over all areas you applied the peel, which may include your face, neck, shoulders, and chest. Look for a sunscreen that has one or both of the following ingredients: titanium dioxide and/or zinc oxide. These ingredients do a good job of protecting the skin against both UVA and UVB sunrays. These ingredients are long-lasting physical filters that provide superior protection, making them ideal for protecting skin that is healing from a chemical peel. Remember that you are doing a chemical peel to improve the health, feel and appearance of your skin so it only makes sense to take precautionary measures after your peel to protect your sensitive skin from the harmful effects of the sun’s rays. If you neglect to apply a sunscreen after a peel and do spend time outside in the sun, you may end up with a serious sunburn that can leave unsightly white blotches on your skin or even scars, not to mention putting yourself at risk for developing skin cancer. With everything that has been said about chemical peels and sunburns, we hope you will have some safe fun in the sun this summer following any chemical peel regimens.